Former British Cycling and Team Sky doctor Richard Freeman is to face misconduct charges brought by Britain’s General Medical Council, it was announced on Monday. An independent medical tribunal, which will start on Manchester on February 6, is to hear GMC claims that Freeman was involved in a cover-up after allegedly ordering large quantities of testosterone, a performance-enhancing drug banned by the World Anti-Doping Agency (WADA), to be delivered to the National Cycling Centre. According to information published by the Medical Practitioners Tribunal Service, the GMC has alleged Freeman obtained 30 sachets of Testogel “to administer to an athlete to improve their athletic performance”. Freeman was also the doctor at the centre of the so-called ‘Jiffy Bag’ scandal which saw Sky accused of a suspected anti-doping violation regarding a mystery package reportedly destined for star rider Bradley Wiggins in 2011. However, a UK Anti-Doping investigation concluded without any charges having been brought. Freeman has previously denied all doping charges against him.He resigned from British Cycling in October 2017 after telling the national governing body he was too ill to face disciplinary action for poor medical record-keeping. 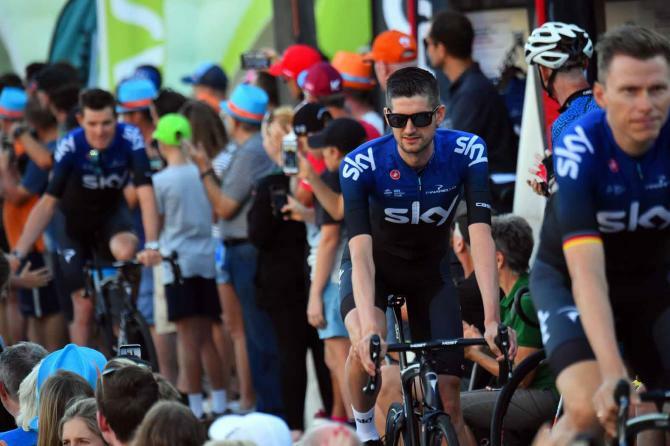 Team Sky’s future was thrown into doubt last month after British media company Sky announced it was ending a partnership that has delivered six Tour de France titles in the past seven years. Wiggins, riding for Sky, became Britain’s first Tour de France champion in 2012. Sky team-mate Chris Froome won four Tour de France titles and Geraint Thomas became the team’s third winner of cycling’s landmark event in 2018.